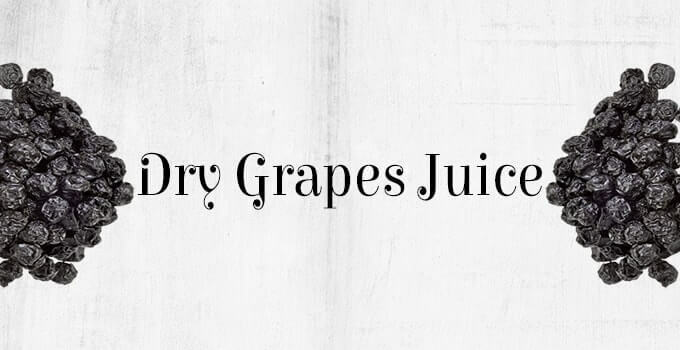 Dry Grapes Juice for Babies - An Amazing Home remedy! 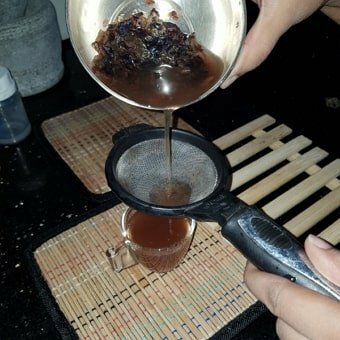 Home » Child Care » Dry Grapes Juice for Babies (Raisin Water) – An Amazing Home remedy! 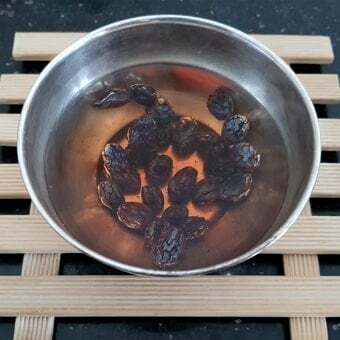 Dry Grapes Juice for Babies (Raisin Water) – An Amazing Home remedy! Dry Grapes juice for babies (Raisin Water) can prevent and/or treat constipation and it also helps in the brain development. Once, my achi (grandma) advised me to give dry grapes juice (raisin water) for my baby boy as it helps in brain development. At first, I did not consider her advice. But when I googled about the benefits of dry grapes I was shocked to know that what my achi said was true to some point. We should say that our grandparents are our biggest treasure. And they say everything for a reason but we people consider them as myth and ignore them. 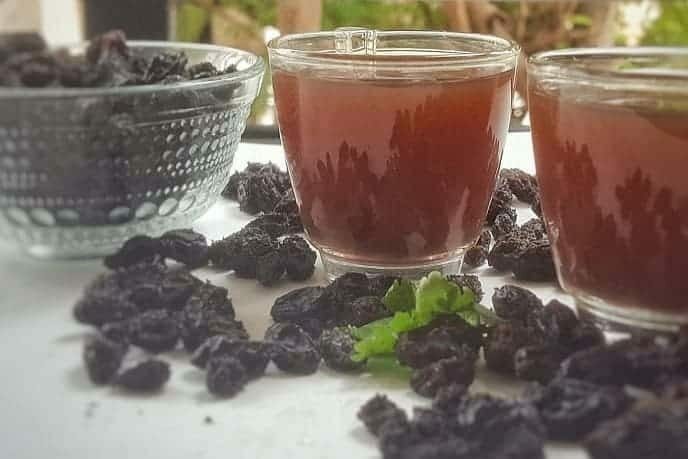 If you are in hurry and just wanna know the recipe of dry grapes juice, skip to step-4 directly. Though I recommend reading the full post to know better about this amazing dry fruit! When did I start to give dry grapes juice (raisin water) for my baby? What are this dry grapes? How to prepare dry grapes juice for babies? I started giving dry grapes juice for my baby after the 3rd month. Initially, I started with 5 to 7 dry grapes for juice and then increased gradually. Kindly note that I am talking here about juice which is extracted from dry grapes by below method. The whole dry grapes can be given to babies only after 6 months as there is always a risk of choking. Dry grapes are also called Raisins, which are nothing but dried sweet grapes. 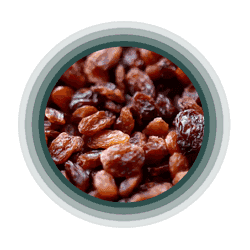 The word Raisin is derived from the Latin word racemus and means “a cluster of grapes or berries”. History says human discovered dry grapes (raisins) as long as 1490 B.C ago. Traditionally these are sun-dried. But nowadays artificially dehydrated raisins are largely produced. 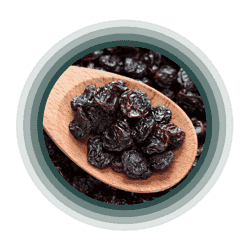 Depends on the drying process you may see different colors of raisins i.e.green, black, brown, blue, purple, and yellow. These small wrinkled fruits are high in nutrition. 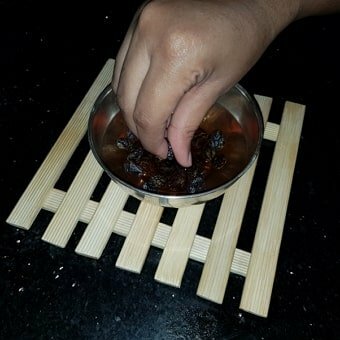 Try to get organic dried grapes (raisins) which are chemical free. You can use any color of dry grapes. I prefer the black ones. Rinse dry grapes thoroughly before soaking to ensure removal of any chemicals and impurities over them. Always keep dry grapes refrigerated in order to preserve its flavor and nutritional values. It’s very rare to see the adverse effect of dry grapes juice (raisin water) in babies. But always look for allergies when you giving first time to your baby. 1. Take 1/4 cup lukewarm water and soak 5 to 7 dry black grapes (washed) overnight. 2. Next day you will see the dry grapes could have soaked well and bulged in size. 3. Now squeeze the juice of the soaked grapes into the same water (You can change the water also before squeezing). 4. Now filter the juice of the dry grapes. 5. Give it to your baby using paladai/sangu. Dry grapes are an excellent source of vitamins and minerals. Refer Wikipedia for full nutritional information. Dry grapes are full of natural sugars and can be used as a natural sweetener with other baby foods. Dry Grapes are rich in iron and hence helps in the production of red blood cells. They are high in fiber and act as natural laxatives to increase bowel movements. So it can be used as a home remedy for constipation. It helps your baby to gain weight. It improves memory power of your baby. It helps in the brain development of the baby. It fights viral and bacterial infections and found effective in the treatment of fever. 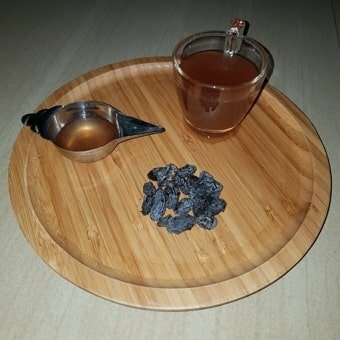 It also helps in the treatment of diabetes, anemia, hypertension and much more. 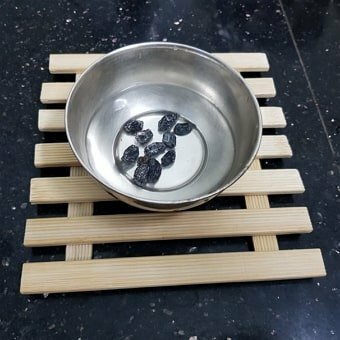 What’re your thoughts on this simple method of preparing dry grapes juice for babies? Let me know in the comment section below.